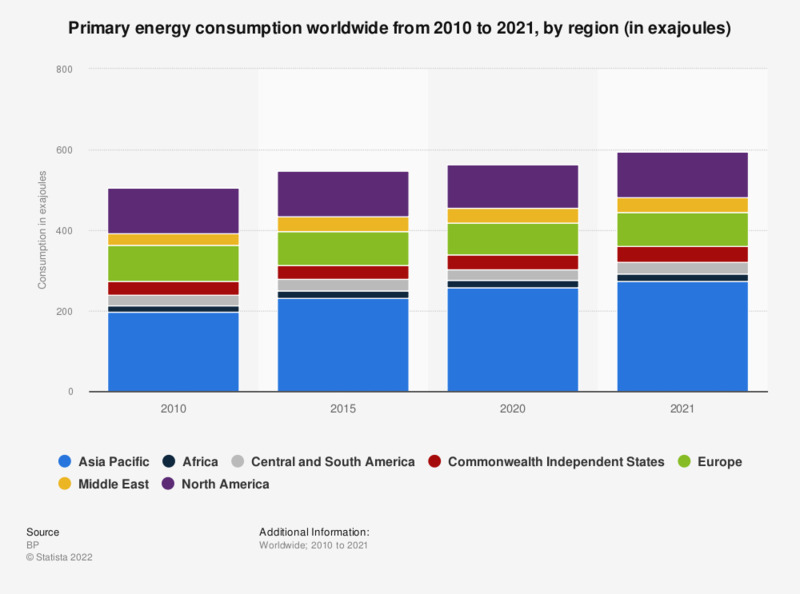 The statistic illustrates the primary energy consumption worldwide between 2010 and 2017, by region. In 2017, Africa's primary energy consumption came to around 450 million metric tons oil-equivalent. Petroleum was measured in million metric tons, all other energy sources in million tons oil equivalent. In this statistic, primary energy comprises commercially traded fuels only. Not included are fuels such as wood, peat and animals waste. Even though they present important energy sources in some countries, there are few reliable statistics available regarding their consumption. Petroleum was measured in million metric tons, all other energy sources in million metric tons oil equivalent.